Hot Air Balloon Wedding Tuscany - Up, Up and Away! 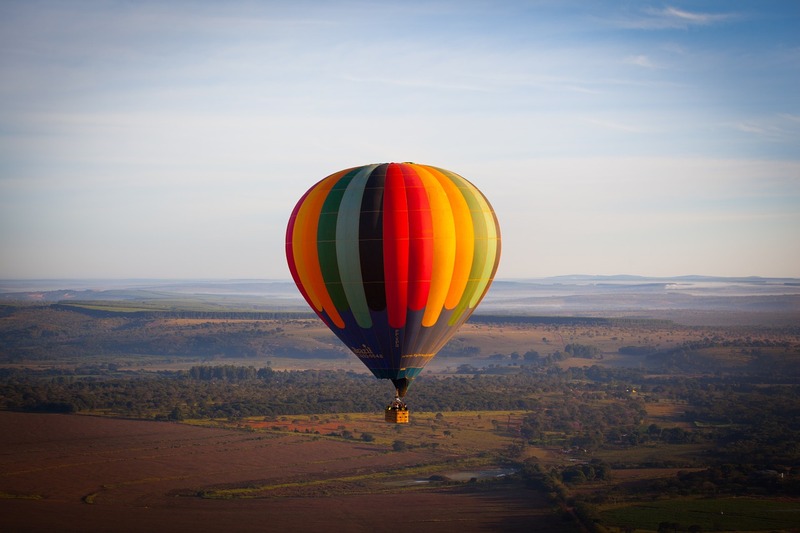 Tuscany with its landscapes and historical sites, offers a great opportunity for hot air ballooning. The surrounding areas of Florence (Chianti, Mugello valley) or Siena (Crete Senesi, Pienza, San Gimignano, Montepulciano), Volterra and the north of Maremma (etruscan archeological sites) represent some potential areas for unforgettable flights. We can arrange additional balloons for your guests. Or you can choose to have the ceremony on the ground and then just the couple take off. The balloon wedding might be a better option for a couple eloping, so for just the two of them, alone, in Italy for their wedding and honeymoon. We suggest you fly early in the morning or afternoon, when winds are calm and gentle. Flight duration can last from 45 minutes to 1 hour or an hour and a half, depending on the speed and direction of the wind. After the flight, in the best tradition of ballooning, pilot and crew will be glad to offer a “champagne cheers” to our wedding couple and a personalized memento of flight.